Budapest (/ˈbuːdəpɛʃt/, /ˈbuːdəpɛst/ or /ˈbʊdəpɛst/; Hungarian pronunciation: [ˈbudɒpɛʃt] ( listen); names in other languages) is the capital and the largest city of Hungary, and one of the largest cities in the European Union. It is the country’s principal political, cultural, commercial, industrial, and transportation centre, sometimes described as theprimate city of Hungary. In 2011, according to the census, Budapest had 1.74 million inhabitants, down from its 1989 peak of 2.1 million due to suburbanization. The Budapest Commuter Area is home to 3.3 million people.The city covers an area of 525 square kilometres (202.7 sq mi) within the city limits. Budapest became a single city occupying both banks of the river Danube with a unification on 17 November 1873 of west-bank Buda and Óbuda with east-bank Pest. 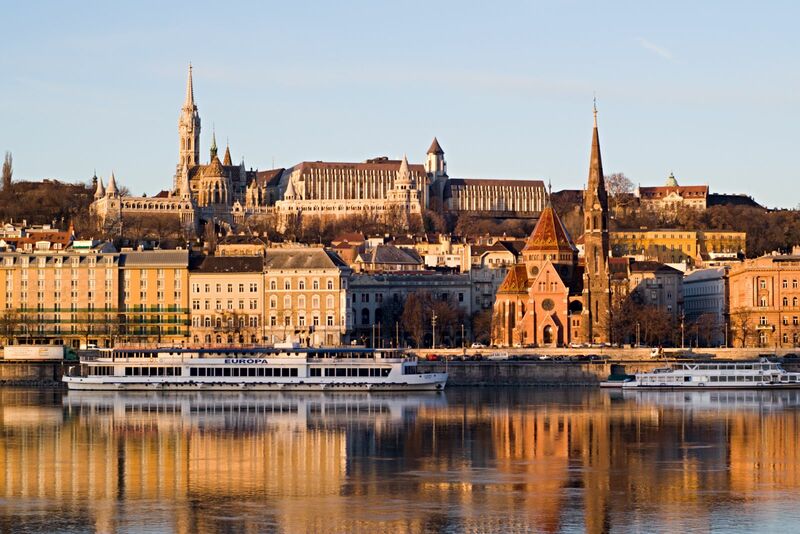 The history of Budapest began with Aquincum, originally a Celtic settlement that became the Roman capital ofLower Pannonia. Hungarians arrived in the territory in the 9th century. Their first settlement was pillaged by theMongols in 1241–42. The re-established town became one of the centres of Renaissance humanist culture in the 15th century. Following the Battle of Mohács and nearly 150 years of Ottoman rule, the region entered a new age of prosperity in the 18th and 19th centuries, and Budapest became a global city after the 1873 unification. It also became the second capital of the Austro-Hungarian Empire, a great power that dissolved in 1918, following World War I. Budapest was the focal point of the Hungarian Revolution of 1848, the Hungarian Republic of Councils of 1919,Operation Panzerfaust in 1944, the Battle of Budapest in 1945, and the Revolution of 1956. 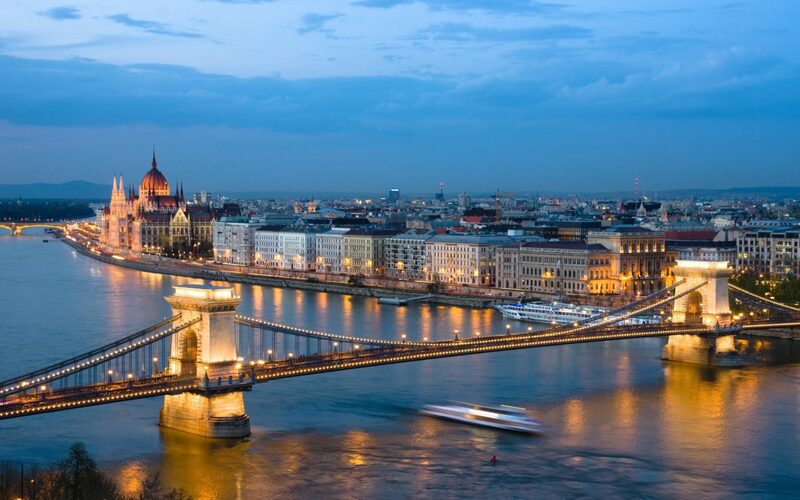 Cited as one of the most beautiful cities in Europe, its extensive World Heritage Site includes the banks of theDanube, the Buda Castle Quarter, Andrássy Avenue, Heroes’ Square and the Millennium Underground Railway, the second oldest in the world. Other highlights include a total of 80 geothermal springs, the world’s largest thermal water cave system, second largest synagogue, and third largest Parliament building. The city attracts about 4.3 million tourists a year, making it the 25th most popular city in the world (and the 6th in Europe) according toEuromonitor. Considered a financial hub in Central Europe, the city ranked 3rd (out of 65 cities) on Mastercard’s Emerging Markets Index, and ranked as the most livable Central/Eastern European city on EIU’s quality of life index. It is also ranked as “the world’s second best city” by Condé Nast Traveler, “Europe’s 7th most idyllic place to live” byForbes, and as the 9th most beautiful city in the world by UCityGuides. It is the highest ranked Central/Eastern European city on Innovation Cities’ Top 100 index. Budapest is home to the headquarters of the European Institute of Innovation and Technology (EIT), and the first foreign office of the China Investment Promotion Agency (CIPA).